I am still in a harvesty-fall mood, but it’s almost 80 degrees outside! Ah, Indian Summer. 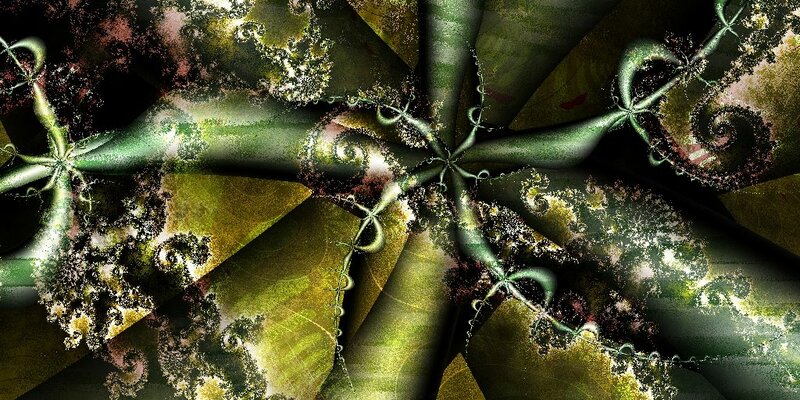 I recall this fractal gave me some headaches. I wanted the texture because it’s a huge part of the piece. I had to re-render it at least three times. The last time I did it with no anti-aliasing and got the results I wanted.